Discussing your farm succession plan is not the easiest conversation to have with family but it is the most important conversation you will have. Deceiving yourself into believing there is nothing to discuss is far from true. A “pa and ma” farm operation with children involved appears to have everyone stuck together like glue. For years, everything can run smoothly until an event like Dad getting sick or passing away occurs. Suddenly the family faces turmoil like never before, wondering who will call the “shots” now. Mom has always been Dad’s sidekick. Will she still be or is the control given to their son or daughter? If there are more children, then that makes the situation even more complicated. Knowing rather than assuming what will happen is best decided in advance. A farm succession plan ensures the intentions are clear to avoid any confusion. Resources to start the process of having the discussions and determining the best strategies are the intentions of this blog. Anytime you are learning the ropes, you look for true and tested methods. Because everyone’s farm operation is different and everyone has unique skills, talents and personalities, a “true and tested method” may not work for you. A specific strategy has to be molded to match your farm family’s objectives. Let’s be honest, farm succession plans are a “work-in-progress” taking years to evolve. 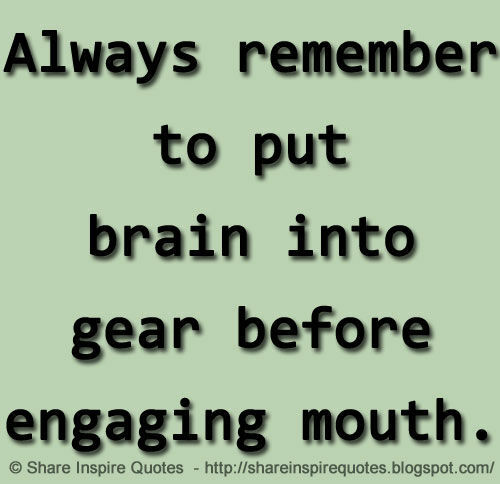 “Talk can be cheap” when you say you will do something rather than actually following through with your intention. Action is a requirement to ensure the farm succession plan succeeds. To build a successful succession plan, conversations start the process. Setting the ground rules for productive farm family discussions sounds easy but I know first-hand rules can get tossed the minute a conversation gets heated. In that moment, emotions flare, thinking is far from rational, and progress is stalled. The main purpose for scheduling a family meeting is for everyone to share their own personal agenda. Not only should everyone bring their agenda but also their listening skills. This meeting may be the first opportunity everyone has a chance to know what another family member is thinking or feeling. Hearing what is being shared, possibly for the first time, may be shocking. You may have not realized your family harbored these thoughts. Give yourself time to process what has been shared before responding. Reacting too quickly may lead to an inappropriate response spurred on by anger. 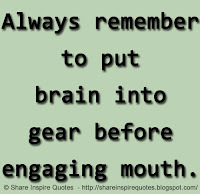 One true and test piece of logic is “always remember to put brain into gear before engaging mouth." I admire Elaine Froese for the skills and talents she has for helping farm families deal with the tough issues surrounding succession planning. 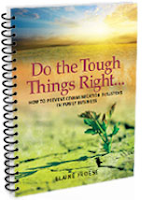 In Elaine’s role as a certified farm family business coach, she provides valuable resources, one being her latest book, Do The Tough Things Right. Tearing down barriers and building strong communication skills is the focus of her writing. In my hunt for resources, this book provides excellent worksheets to help identify the key issues and challenges facing farm families. Before having the first meeting, each family member is encouraged to complete the Key Challenges Audit Sheet designed by Elaine Froese. Although the recommendation is to put an “X” next to the challenge your family farm business faces, I suggest numbering them in order of importance. Because everyone sees things differently, numbering the challenges as Number 1, 2, 3 and so on, determines which issues require the most attention. As a family, you can then decide the approach. Does ironing the details first on the small issues build momentum before the big issues are tackled or does energy need to be first dedicated to the toughest ones? Another useful tool found at Elaine Froese’s website is 60 Questions for a Farm Transfer which was developed by The Quebec Farmer’s Association and FGCAQ. If you are like most people, you may be unsure what questions to even consider asking. This list takes away the guess work since the questions covers a variety of related topics such as the communication plan, development plan for the farm enterprise, planning for the transfer of farm assets, and a host of others. Once the ground rules have been established and the issues have been identified, you will require some tools. You may or may not choose to have a third party present at the meetings. If you agree to conduct the meeting on your own, you may democratically elect or appoint a family member to be the chairperson. This person may be the peacemaker in the family who everyone feels comfortable with and respects. I especially like Elaine’s methods of using a “talking stick” and index cards as tools to control the conversation. Elaine explains her methodology in her book, Doing the Tough Things Right. Both listening and talking through the challenges are the best and only ways to resolve any problems and concerns. Ignoring the problems doesn’t make them disappear. When repeated disagreements occur, relationships are strained to the point of breaking. Just like a chain will break with continuous pressure, so will relationships. Then, the difficult part is repairing the relationship when extensive damage has been done. If you think reaching a compromise about any farm planning decision is difficult, realize that it is also difficult when a family cannot spend Thanksgiving dinner together. 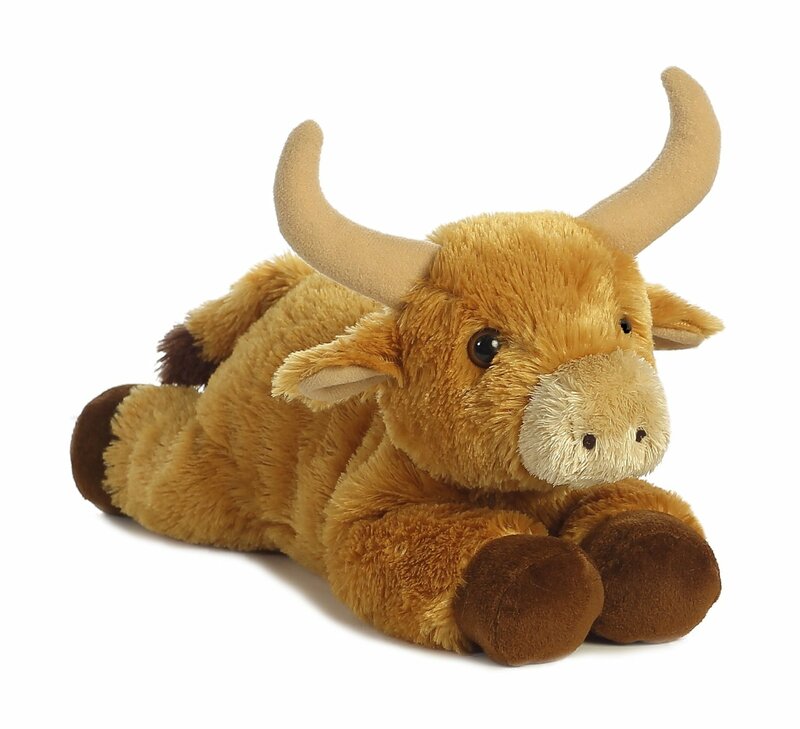 You soon see that a severed relationship not only affects the immediate generation but the effects are also felt by the next generation, the grandchildren. You often hear that you can agree to disagree about farm family decisions. We all have the option to choose and respect the outcome. The important part is that we all had the opportunity to contribute to the outcome. Equipping yourself with information from various resources is a sure way to become knowledgeable about succession planning. You can use available worksheets and techniques as well as other professionals to help guide you through the process. Unless you schedule a meeting around the kitchen table over a cup of coffee and cinnamon buns, you cannot know exactly what each person involved is thinking. Food not only comforts but fuels the mind. Everyone thinks better on a full stomach. 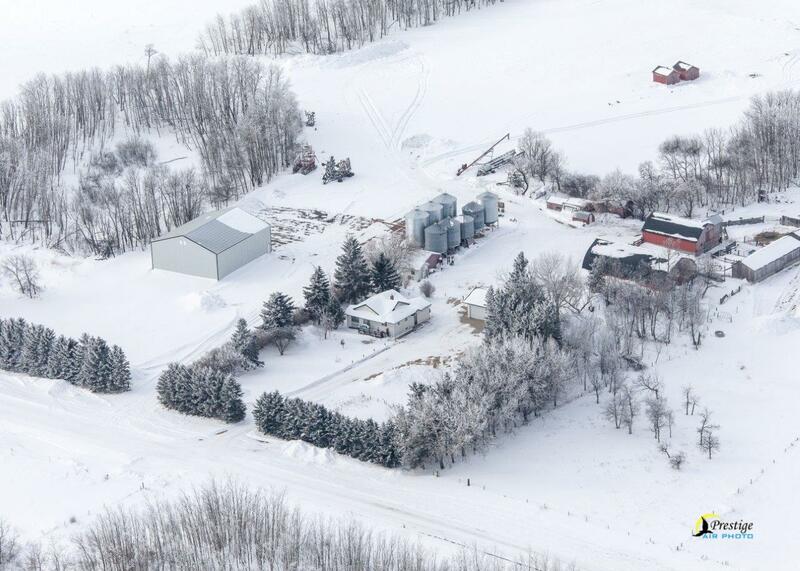 When you sit around that kitchen table, I believe having an aerial photo of the family farm would be a valuable tool. Whether one person or several people contributed to the success of this farming empire, it’s beneficial to remember why the family meeting was called to order. The main objective is to share in the success of the empire for generations to come. Harmony is what you are trying to achieve so the family empire lives on if that is the direction you choose.